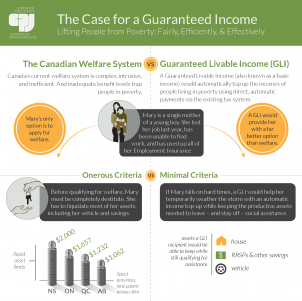 Infographic: Why the Fuss Over Oil and Gas? 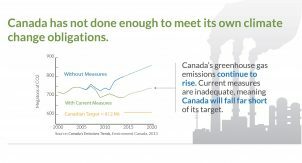 When we talk about government action on climate change in Canada people often want to know, why do we put so much focus on reducing emissions from the oil and gas industry? 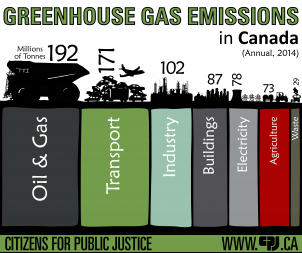 The oil and gas sector produces more greenhouse gas (GHG) emissions than any other sector of the Canadian economy. The effects of climate change are seen and felt around the world. 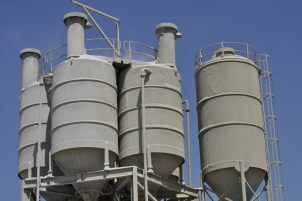 However, as Canadians, we may sometimes feel removed from climate change impacts. 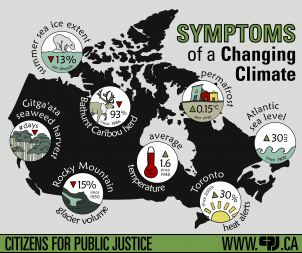 Here are eight symptoms of climate change that are happening in Canada. A visual explanation of the science behind the warming of the Earth due to GHG emissions. 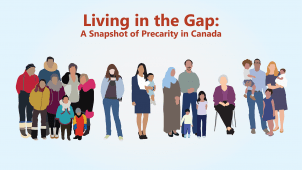 CPJ’s infographic on why Christians are asking for a strong pan-Canadian climate plan. 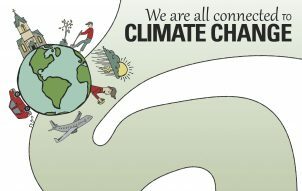 CPJ’s infographic on the global climate change crisis and the need for action in Canada. 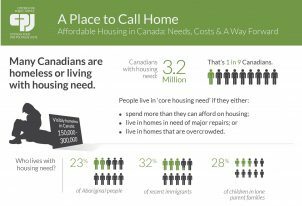 CPJ’s infographic on affordable housing in Canada.